The State of California requires elected officials (that includes NC board members) to take Ethics Training as one of two components that enable board members to vote on funding related agenda items. Ethics Training lasts for two years. It can be renewed at any time. Ethics training is mandated to last two hours. If less than two hours is spent on the online training, the training slideshow can be backed up and reviewed again to accumulate the full two hours. 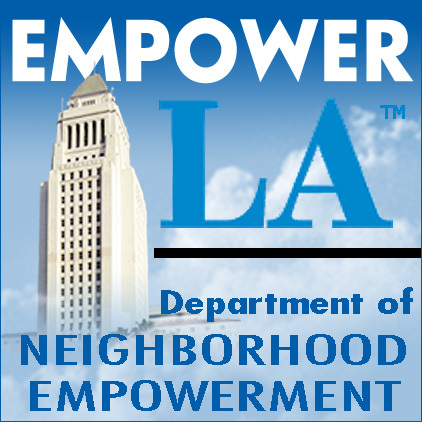 During triggering events such as NC bi-yearly elections, EmpowerLA provides group training classes in conjunction with the City Attorney's office. This is often offered with Funding training. In between these periods, this training is available on the internet. If you have an Ethics certificate from another NC or government agency that is less than two years old, please submit it to us, as it may satisfy the requirements without having to duplicate the training. Ethics training (along with Funding) should be taken in advance by prospective candidates in anticipation of a possible future board seating, to be immediately eligible to vote on funding items. The slideshow may also be viewed by anyone who has an interest in NC Ethics training and issues. IMPORTANT: Not all of the issues presented, nor all the requirements regarding financial disclosure, apply or are enforced for those working at the Neighborhood Council level. For instance, financial disclosure of any kind is not necessary for NC board members. 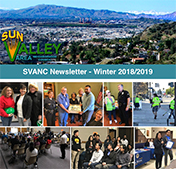 -When registering, be sure to specify "Sun Valley Area Neighborhood Council" as the organization. -The training has an integrated short quiz after each major section. It's not graded and you will be able to revise wrong answers before continuing. -You register with your email address, which doubles as your login. -You can exit the training and log back in to resume where you left off, so this can be taken over an extended period of time. -Of particular interest to NC board members is the information regarding "serial" meetings. These violations can occur easily. The current SVANC bylaws specify a quorum (the minimum number of board members needed to conduct SVANC business) as seven (7). The Brown Act specifies the maximum number of board members who can discuss potential items of business outside of an agendized meeting as fewer than a quorum. This includes yourself. -After you complete the training, you need to A) print and sign the certificate and scan it or send it to the SVANC secretary so we can record it, and B) self-register with EmpowerLA. A link to the guide on self registration is included below.